Up for sale is one USED Redline Bicycles 2010 Performance Bikes Dealer Catalog. These are not price catalogs. 31 pages each. Has creases, marks, cover edgerubbing, etc. 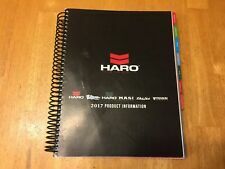 Up for sale is one Used 2017 Haro Bikes Product Line Information Catalog Dealer Book - Haro Masi Del Sol Premium Lines. This is not a price book, it is only an info book. 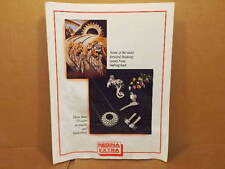 This item for sale is a Regina Extra drivetrain pamphlet (soft cover). Having said this, the cover page probably looks better in these pictures relative to what I see in person (and just want to be honest here). For brake Part Numbers - BBR-0501 BBR-0502. 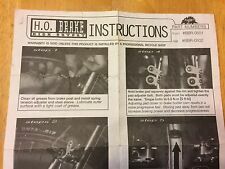 I have more Bike Parts for Sale! 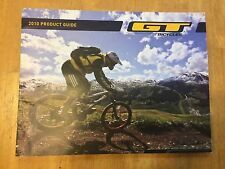 Up for sale is one USED GT Bicycles 2010 Bikes Dealer Catalog. This is not a price catalog. 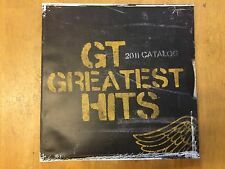 Up for sale is one USED GT Bicycles 2011 Bikes Dealer Catalog. 155 pages. This is not a price catalog. 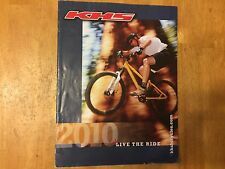 Up for sale is one USED KHS Bicycles 2010 Bikes Dealer Catalog. This is not a price catalog. I have more Bike Parts for Sale! Up for sale is one USED Fuji Bicycles 2009 Bikes Dealer Catalog. This is not a price catalog. I have more Bike Parts for Sale! Still has unused, alphabetized tab sheet in the front. I have more Bike Parts for Sale! Up for sale is one USED Giant Bicycles 2011 Bikes Dealer Catalog. 144 pages. This is not a price catalog. 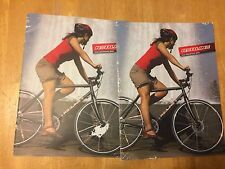 Up for sale is one USED Specialized Bicycles 2011 Bikes Dealer Catalogs. You get 2 Catalogs. These are not price catalogs. Have creases, cover edgerubbing, stains, etc. Up for sale is one USED Giant Bicycles 2011 Bikes Dealer Catalog. 160 pages. This is not a price catalog. 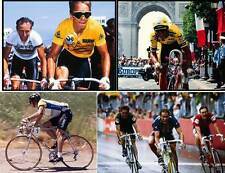 Up for sale is one USED Specialized Bicycles 2010 Bikes Dealer Catalogs. You get 2 Catalogs. These are not price catalogs. Have creases, cover edgerubbing, stains, etc. Doing that is against U.S. and international laws. For that I am grateful. You all have been so nice to work with. Many of you know of the legendary "Earl Huffman". (OUR DAD). SEE PHOTOS . Used, but in very good shape. 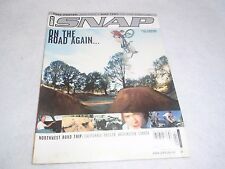 This is a publication that was published by Rock Shox back in 1996. Spinervals 11.0 Big Gear Strength The Original Indoor Cycling Workout Series DVD. Condition is Brand New. Shipped with USPS Media Mail.